If you are anxiously awaiting all the wonderful flavor of Thanksgiving, this Crock Pot Harvest Roast makes a great sneak peak dinner by adding some of those fall flavors to a pork roast and sweet potatoes. The crowning glory here is a slightly sweet onion gravy flavored with a hint of sage and ginger. Yum, hot and ready when you get home! Here’s a few other main dish favorites with a delicious Fall Flare: Quick Pasta with Spicy Sausage and Butternut Squash, Cider Pork Chops with Baked Apples and Maple Baked Chicken. Place cut sweet potatoes in the crock pot. 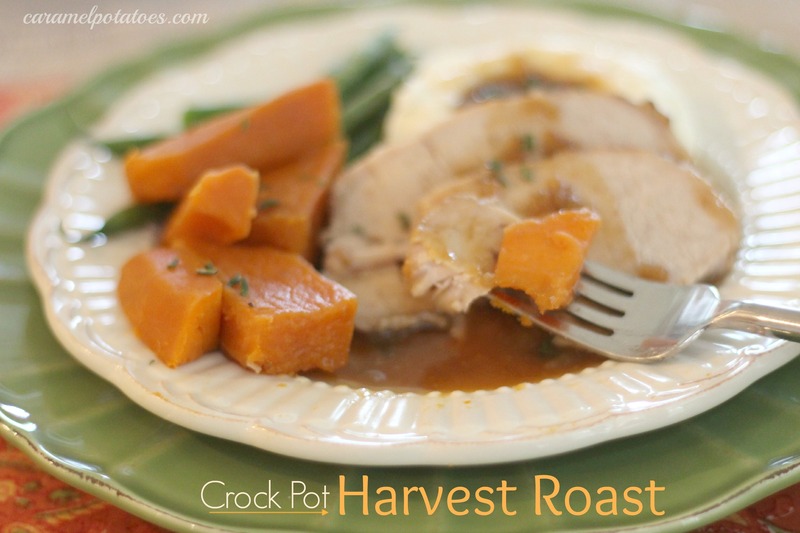 Season roast with salt and pepper and lay on top of sweet potatoes in crock pot. Combine the soup mix, water, brown sugar, ginger, and sage in a mixing cup or small bowl. Pour mixture over roast and sweet potatoes. 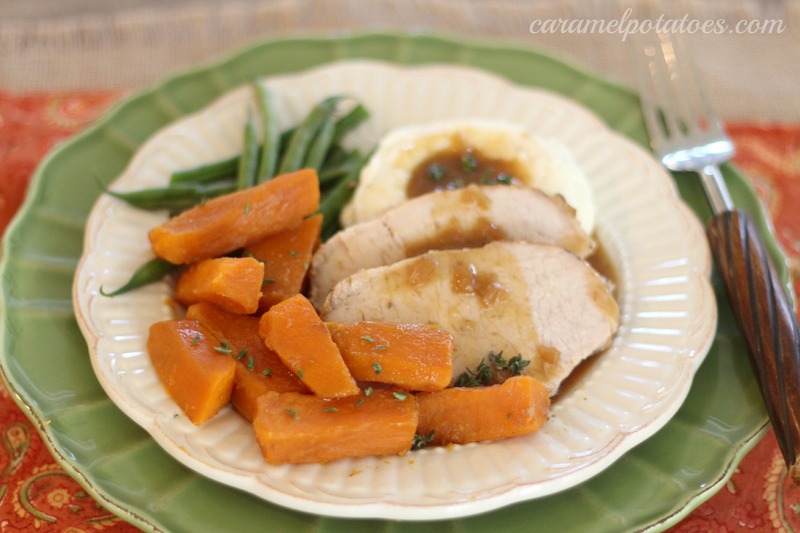 Cook on high 4-6 hours or low 8-10 hours or until pork has reached an internal temperature of 145 degrees F.
To make gravy, remove roast and sweet potatoes from slow cooker. Pour liquid (about 2 1/2 cups- you may have more or less) into a medium sauce pan. Mix 3 tablespoons water with 2 tablespoons flour until smooth. Add to pan juices and slowly bring to a boil. Reduce heat and simmer 5- 10 minutes. Note – you can make the gravy as thin or thick as you like by adjusting the water/flour mix. ; if you like you can just serve the juice over the meat without thickening it. Looks wonderful! 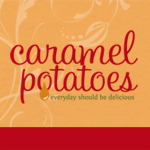 My husband is not a huge fan of sweet potatoes though, how do you think it would taste with regular potatoes? Beth- I haven’t made it with regular potatoes, but the gravy would be good on them. You could also just cook the roast without the sweet potatoes and serve it with mashed potatoes. Let me know how you like it! I just made this Sunday and we really liked it. The gravy is yummy! Thanks for the recipe!